Many blerds are big fans of anime. Manga and Anime bring us so many elements from horror to comedy. The Japanese culture in this genre blends elements of action in combination with science fiction of the past and present. We love the epic adventures, parallel worlds, supernatural creatures, and story plots revolving around Shinigamis, the Japanese death gods but sometimes it is hard to find “ourselves” among the characters. We haven’t been left out of this genre though! 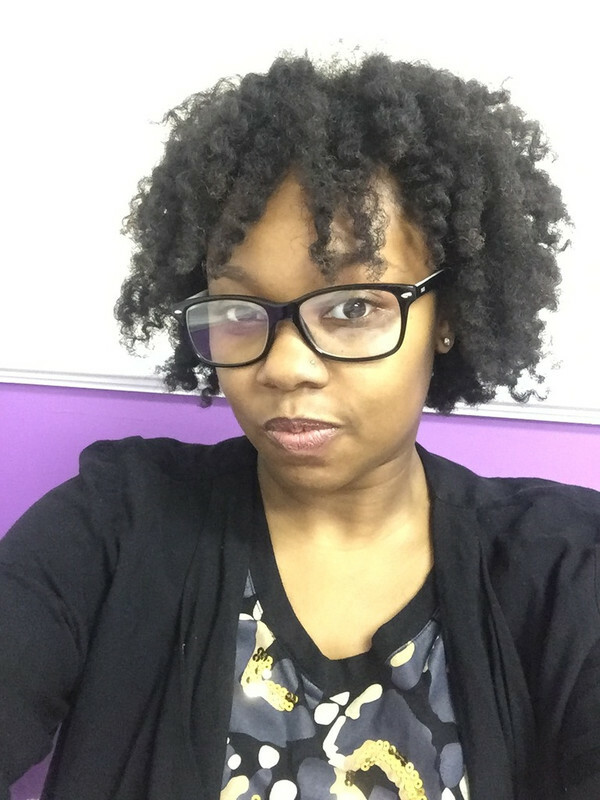 Here is a list of some of the women of color featured in manga and anime. Mira Nygus, is also known as The Demon Knife and The Mummy Ninja. She is the weapon partner of Sid Barett and assistant to Dr. Franken Stein. 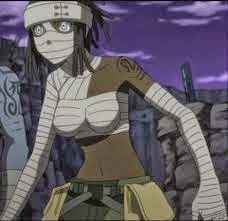 Mira is covered in bandages giving her a mummy like appearance. She has dark skin, blue eyes, and wears her hair in dreads. She speaks very blunt, and does not operate off emotions, but she does care deeply for those closest to her. Mira's weapon form is a combat knife. She is able to set elaborate traps very quickly. Myra can also be seen working as a Nurse at DWMA, Death Weapon Meister Academy. 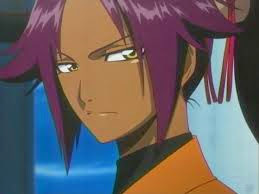 Yoruichi first appeared in the manga volume 6, Chapter 51 and in the Anime in episode 15. 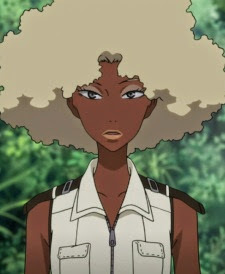 She works with Kisuke Urahara and Tessai Tsukabishi, in the Urahara Shop out in the Human World, after she abandoned previous captain and command positions. Yoruichi is a slender, dark-skinned woman of average height, with golden-colored eyes and long purple hair, which she wears in a ponytail. Yoruichi, unlike any other known Shinigami in Bleach, can transform into a black cat for long periods of time. She demonstrates leadership qualities, intelligence, and she is highly knowledgeable of Soul Society and its workings. Atsuko is a cop who pursues Michiko, with whom she grew up with in an orphanage. She is dark skinned with a blonde afro. Although Atsuko relentlessly chases after Michiko, many times she would end up either failing or helping her escape out of guilt. Atsuko struggles with doing her job as a cop, and protecting an old friend. April is a Contractor in the employ of the British intelligence agency known as MI-6. She works alongside November 11 and July. 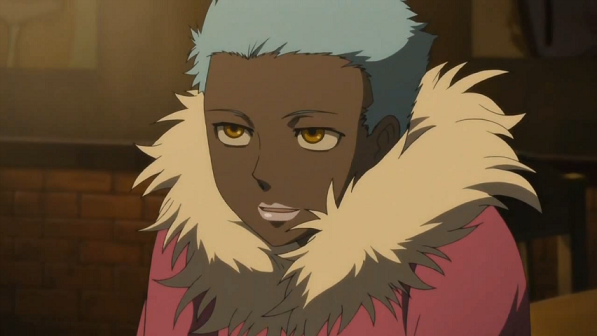 She has dark brown skin, ice blue hair, golden yellow eyes, and wears light pink lipstick. April has the ability to create localized hurricane weather conditions, which includes high velocity winds and large amounts of precipitation. Her powers support November 11’s because he has the ability to freeze liquids.